Weekly Bonus: $10 EVERY Friday on a min. deposit of $50. Sunday Deposit Bonus: 25% on any one Sunday of the month on your first deposit of the day between $50 and $1000. Sunday Deposit Bonus: 25% on any 2 Sundays on your first deposit of the day between $50 and $1000. Weekly Bonus: $20 EVERY Friday on a min. deposit of $100. Sunday Deposit Bonus: 35% on any 3 Sundays on your first deposit of the day between $50 and $1000. Weekly Bonus: $50 EVERY Friday on a min. deposit of $250. Sunday Deposit Bonus: 50% every Sunday on your first deposit of the day between $50 and $800. Weekly Bonus: $75 EVERY Friday on a min. 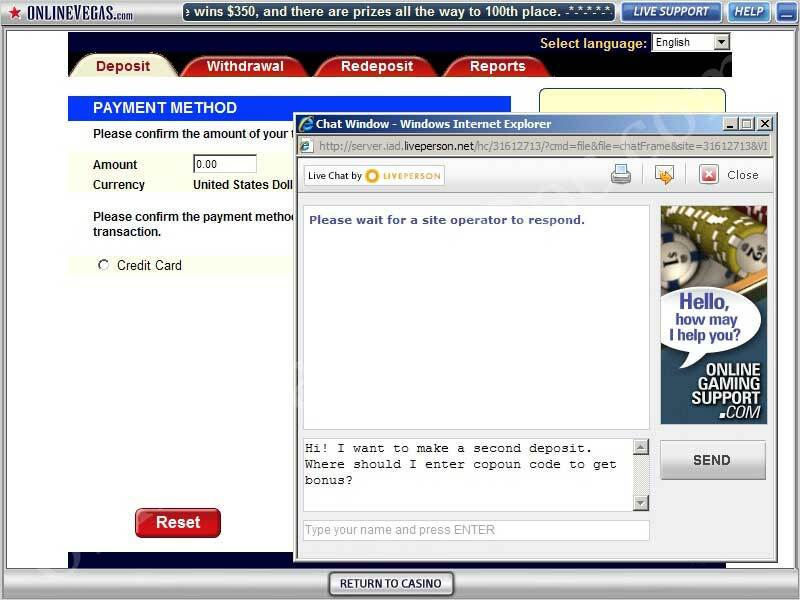 deposit of $250. Sunday Deposit Bonus: 75% every Sunday on your first deposit of the day between $50 and $1000. 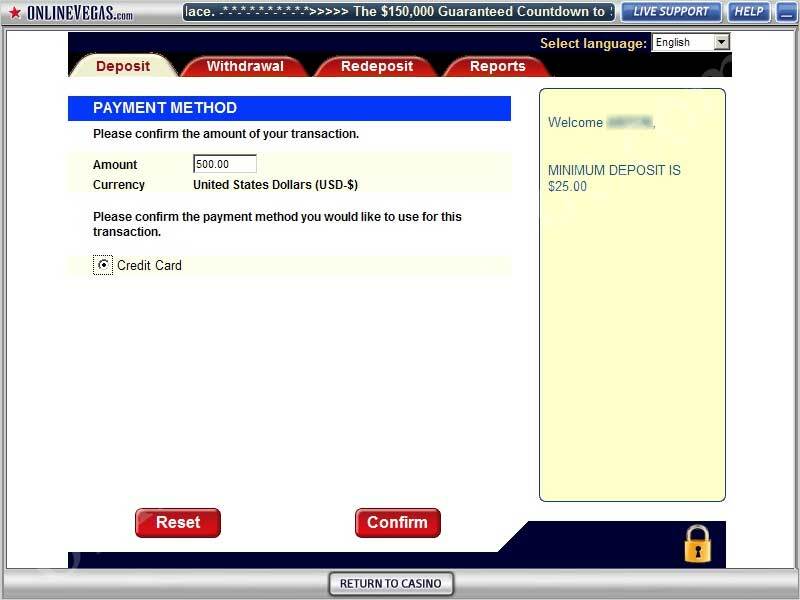 Weekly Bonus: $125 EVERY Friday on a min. deposit of $300. Sunday Deposit Bonus: 100% every Sunday on your first deposit of the day between $50 and $1000. 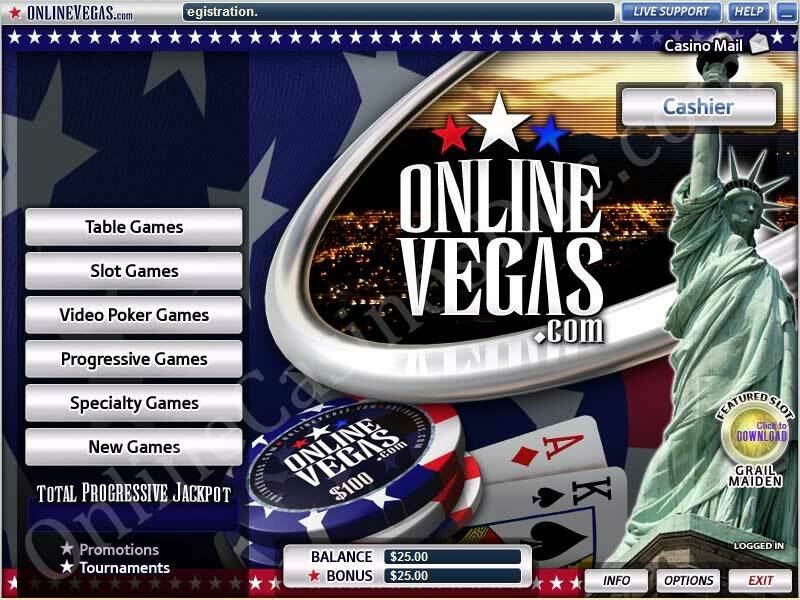 If you want to claim any of the bonuses offered above, you need to register a personal account at Online Vegas Casino. 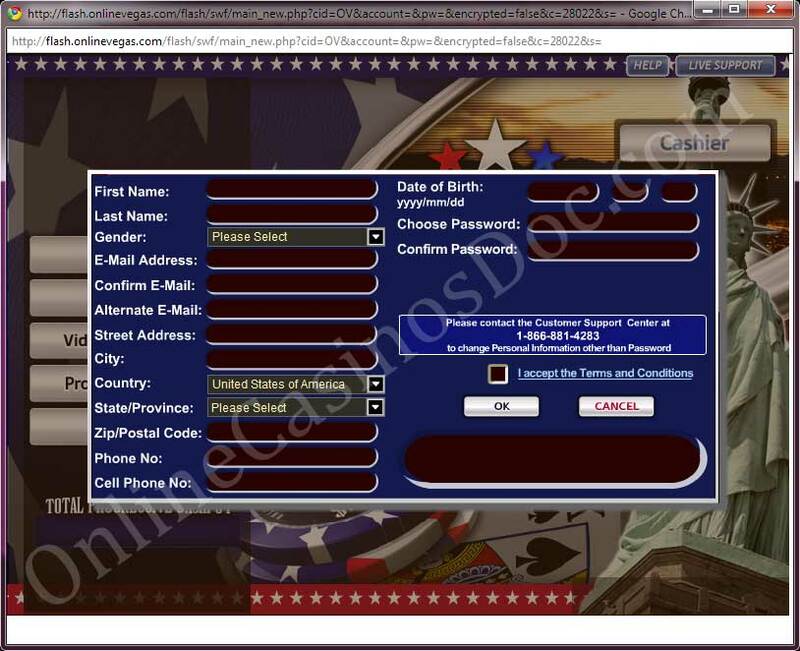 You can do this either directly from the site or through downloaded version of the casino. 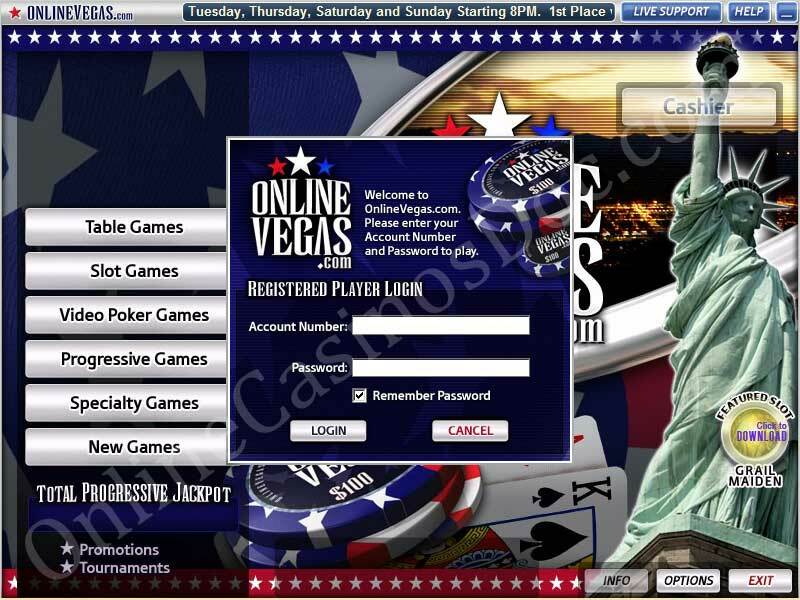 Note that you have to choose to play for Real Money and register Real Money account even if you have a Fun account at this casino. 3. After the deposit has been made you need to wait a little bit and your bonus will be credited to you automatically. If it wasn't credited to your account within a couple of minutes, you need to turn to Live Support and they will rectify this oversight. All the subsequent bonuses are credited through support.